At the foothills of Nagaland are Charaideo, original capital of the Ahom kings. It is about 30 kms from Sibsagar. 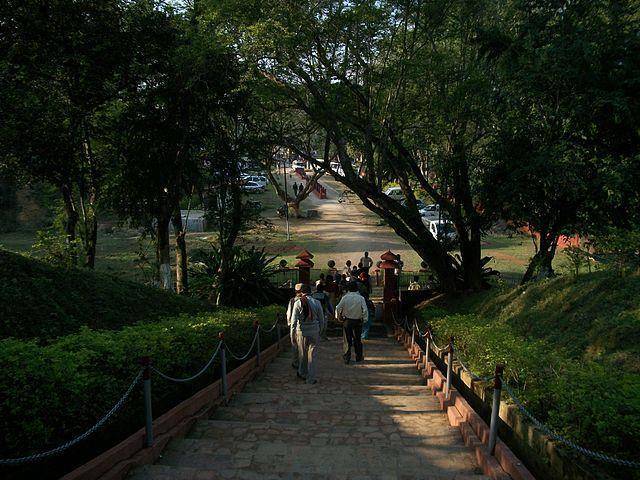 The area used to be sacred burial ground for the late Ahom royal family. The tombs are often compared with the Pyramids of Egypt, and are built with stones and bricks. However, these tombs or vaults are now in ruins and are in dire need of conservation.